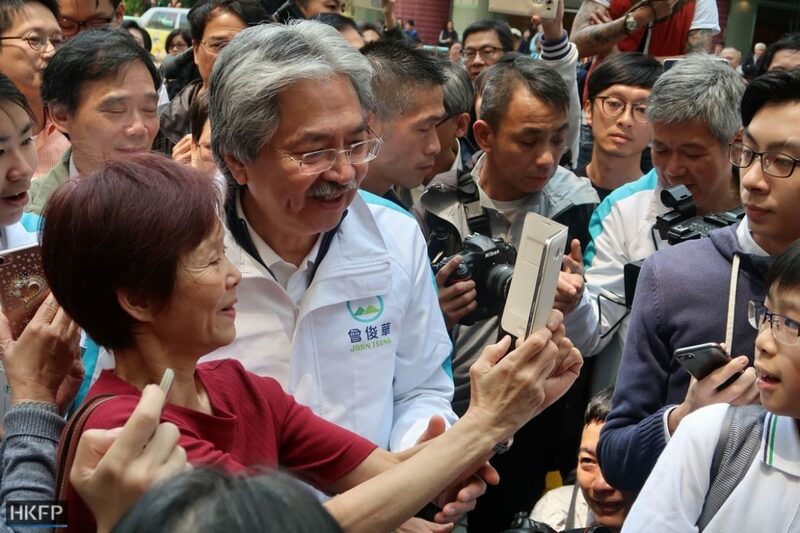 Chief executive candidate John Tsang received a warm welcome from supporters on Friday before kicking off his campaign tour around Hong Kong Island. 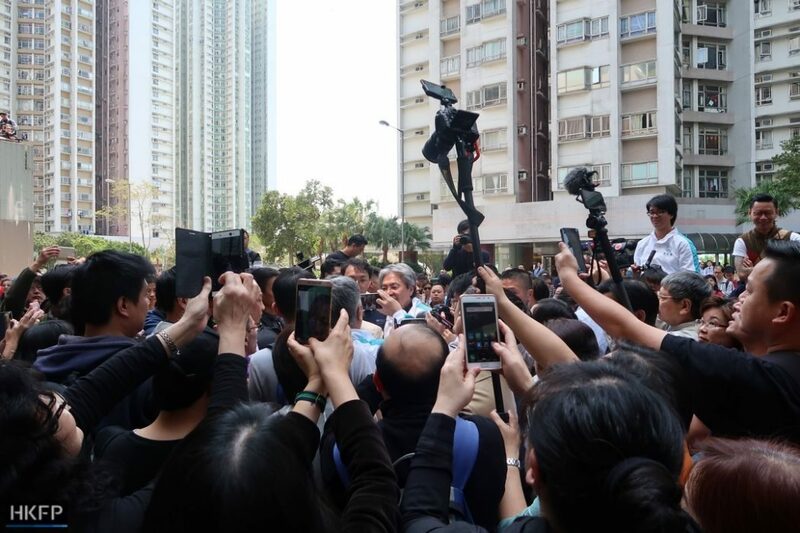 Around a hundred people turned up at South Horizons in Ap Lei Chau – the first stop of Tsang’s tour – to show support for the former finance chief. 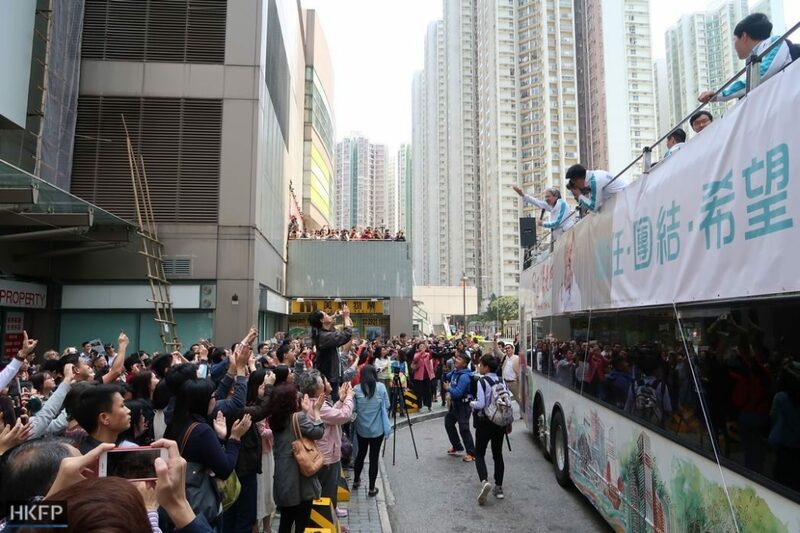 They shouted slogans such as “Good luck, John Tsang” and “Please be our chief executive” as Tsang boarded his tour bus. 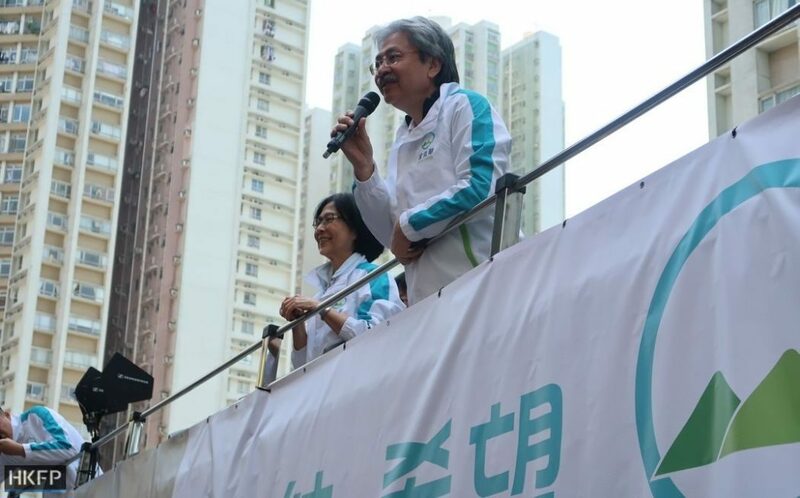 With only two days to go to the election day, Tsang launched a campaign tour to rally for public support. 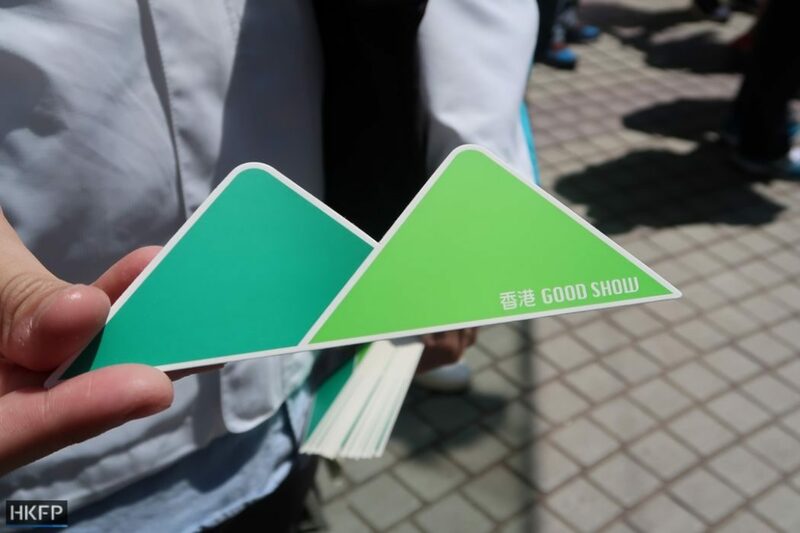 His campaign team handed out leaflets and stickers to passers-by. He was surrounded by supporters and reporters outside a shopping mall, where he stayed for about half an hour before boarding his tour bus. “I am very moved. I hope this will inspire electors to vote for me,” Tsang told the crowd. Tsang leads in public opinion polls. 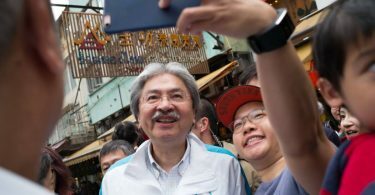 But his rival Carrie Lam is tipped to win Sunday’s small-circle election, when a committee of 1,194 people – around 0.03 per cent of the population – will choose the city’s next leader. Lam is considered to have Beijing’s backing for the top job. Ms Au, who lives nearby, told HKFP that she had never attended any public demonstrations since June 1989, when tens of thousands of Hongkongers took to the street in solidarity with student protesters at Beijing’s Tiananmen Square. She was among those who took photos with Tsang on Friday. “I support Tsang because I think he can unite Hong Kong,” she said. Mr Chan, 64, is also a resident of the area who turned up on Friday. He told HKFP that he supports Tsang because he agrees with the candidate’s vision about what Hong Kong needs most: peace and unity. 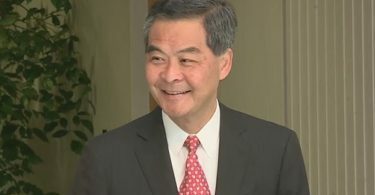 “The situation in Hong Kong is depressing, as we are being bullied by the Chinese Communist Party and [Chief Executive] Leung Chun-ying,” he said. Another South Horizons resident, Ms Kwok, told HKFP that she took half day off from work to support Tsang. “The previous government did not treat us fairly or keep us happy, so I hope we will have another chance. That’s why I came to support Tsang today,” she said. 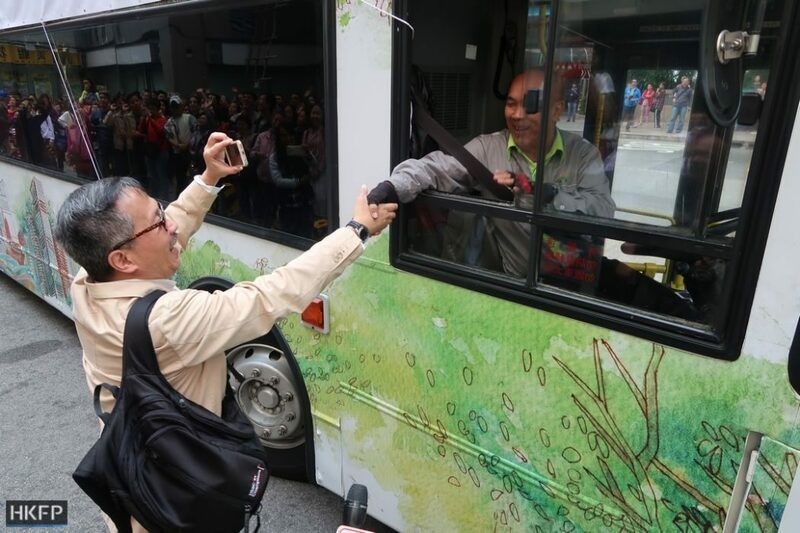 Before Tsang departed from the area, a supporter shook hands with the driver of Tsang’s tour bus. “The hope of Hong Kong is in your hands today,” he said, followed by laughter from the crowd. 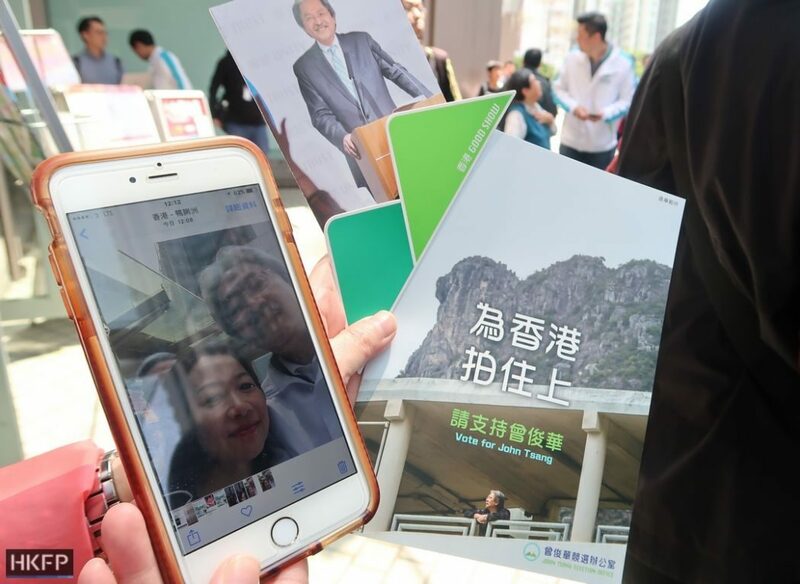 Tsang’s tour bus will stop by Taikoo and Causeway Bay on Friday afternoon, before arriving at the final stop at the Edinburg Place in Central at around 6:30pm, where a rally will be held. Tsang said he expected about 1,000 to 2,000 people to attend the rally in Central. Ex-judge Woo Kwok-hing is also standing in Sunday’s small-circle election.